Hours: Monday through Friday from 9:00 am – 12:00 pm. We’re also open every 2nd Saturday of the month from 9:00 am to 12:00 pm. The Webster-Rock Hill Ministries food provides both perishable and non-perishable food items, grocery store vouchers, and referral to other food resources to alleviate hunger in our community. In addition our volunteers may assist clients in applying for the Supplemental Nutrition Assistance Program. If you are in need of food, please visit our office at 111 East Waymire, Webster Groves, MO 63119 or you may call our office at (314) 961 5082. 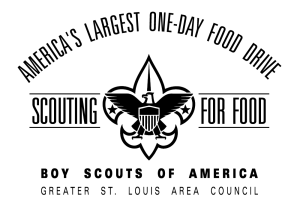 Our food pantry is stocked through community food drives, assistance from the USDA Commodities program, participation in the Boy Scouts’ Scouting for Food Program, and the St. Louis Area Foodbank. If you are interested in hosting a community food drive, please contact Ed Johnson, Executive Director at (314) 961 5082.